When we’re together there’s no need to impress. 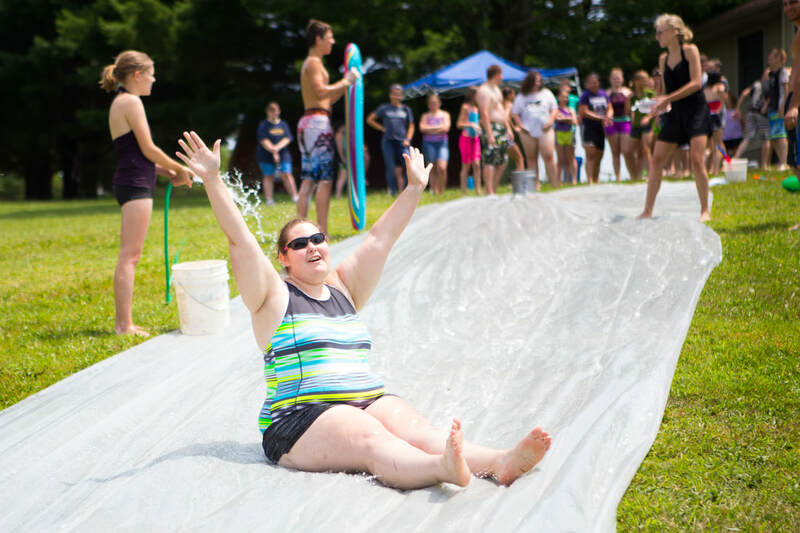 Camp ECCO is a beautiful 113 acre camp ground in the Appalachian foothills of Carrollton, OH, and has its roots as a cooperative outreach ministry of the Evangelical Congregational Church. Camp ECCO is host to four weeks programmed summer camps provided by our Camp ECCO family as well as several weekend retreats from the same group. Youth in high school (9-12th grade), junior high (6-8th grade), grade school (2-5th grade), and even the little ones (K-1) are invited to join in these camps every summer. We also rent our camp to interested groups other weeks and/or weekends between May and October. Food and property services are provided to groups from 30 to 130. If you are interested in using our camp for a retreat, or any other event, please check out our Rent Our Facilities page and contact us. We are a group of people seeking to be more like Jesus through the messy, day-by-day process it is to know Him. We are broken, imperfect people united by our God and we aim to love on all people in their brokenness. We persevere together through hard times knowing that God is holding us and bringing us to the other side. When we’re together there’s no need to impress. You are free to be you. Come as you are---bring snacks. We love to laugh. We love to joke. We love to tell stories. We love to build lasting memories. And we love remembering that we are all family and here to look after one another. We come expecting that by being together, being vulnerable in our conversations, and loving each other that we will be led into a first-hand experience with Jesus Christ. By playing games, worshipping, and learning together away from the distractions of the world we are empowered to walk back into the world living transformed and Christ-filled lives. Find out more about us, our mission, and our history...and, of course, check us out on social media! Let us tell you why...WE LOVE CAMP ECCO! "...all the people here are genuine because they actually care about you as a person...this is a place for everybody..."
"Camp ECCO is so important to me. There are many, many reasons why. The people at the camp are what makes it amazing. Everyone is so loving, caring, and fun. I learned so much there, too. It's truly amazing how much God moves through everyone at ECCO. The counselors make it extremely enjoyable and exciting. This camp really refreshes you and puts you on the right track. I love this camp because I feel loved by everyone. Camp ECCO is the best church camp I've ever gone to and I recommend it to everyone." "...camp is so special because it is where I found Jesus when I was in 2nd grade...you can be yourself out here cause you don't have to be under the pressure of what everyone expects you to be..."
"...they are now my second family." ​"Camp means the world to me. At camp everyone is your family. When I went for the first time I was scared but everyone took me in and they now are my second family. As my second family learning about my Savior and all of his stories means so much more. I would hope that everyone who has the chance to go to camp will go and share the glory of God and become a part of my family." "...ECCO became my safe place." ​"It was the summer of 2008, when I flat out REFUSED to go to camp. In the end I ended up surrendering to the grip God had placed on me. He knew exactly what my pain was all about. Charlie Cotherman was the speaker that year, and there was a story that he had read that resonated in my heart. I wound up talking with him later that night, a very dark night that could have taken a tragic turn had I not shown up at camp that week. I truly believe God, with the Help of Charlie, saved my life, and my very broken heart that very night. Charlie, along with Bob and Jenny, became a very prominent role in my life, and Camp ECCO became my safe place. But still, the temptations and my struggles didn't end when I left those doors. In 2010, I was baptized at Ecco, and I finally started to see God at work. God truly worked in my heart that specific year, and in 2012 I came back to counsel at one of the hardest points in my life. It was in 2012 at camp when I realized I needed to drop out of college. I went one more semester, and God told me to drop everything, for I know what's going to happen with you. Fast forward to 2017, and I am no longer the suicidal guy that walked on to the property all those years ago. I am now a BeachBody coach, I share my story with so many others. I motivate others to do great things. I share what God did for me all those years ago. This place truly has healed my soul, and my broken heart."